Fire Chief- John J. Williams Jr.
Congratulations to the Chief officers for another successful year! West Seneca Fire District #6 Fire Commissioner elections were held 12/12/17. Current & Outgoing Fire Chief, Andrew Oscypala was newly elected to a 5 Year Term as Fire Commissioner. Andrew ran against incumbent Robert Safe who is finishing up his 20th year (4th Term) on the Board and also James McCullough. 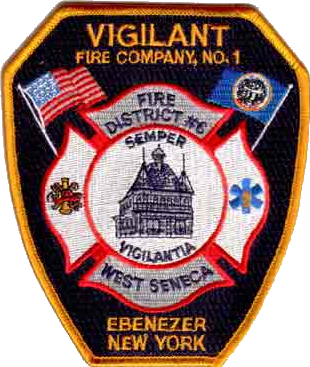 Vigilant Fire Company elections are complete. Congratulations to the following officers for the 2018 Calendar year!